I’ve been an active real estate investor for decades and these are the tools I’ve developed and use in my real estate investment business. Through the ups and downs of the real estate market it remains a gold mine if you do it right. Over the years I’ve asked to show friends how this is done and assembled instructions and spreadsheets & contracts etc. to make investing as easy as possible for them. Recently I’ve been asked to put all this info and these tools together in a package for the serious investor and this is that package. These tools take you through finding the properties, evaluating & appraising them, contracts to purchase them and how to set realistic rental rates. Everything you need is included in this package and the tools are proven to work as we and others have used them for years. Tip: Having been a real estate broker, real estate investment broker, certified general appraiser and owned an investment firm, an appraisal firm and a mortgage company, I can tell you that often your best deals can be made without a broker involved. A brief explanation of each offering is shown below. For a more detailed breakdown of each follow the link at the end of each description. Buying Houses with NO Cash Down Payment – How to find properties, How to quickly find their value including what they should rent for, How to use our valuable spreadsheets to send a seller a letter of intent to purchase in a matter of minutes, Long form real estate contracts & counter offers, a Land Contract form for the seller to carry your purchase loan including an Amortization Schedule, Rental Applications & Lease Templates, in short, everything you need to find, value and buy local houses with no cash down payment. 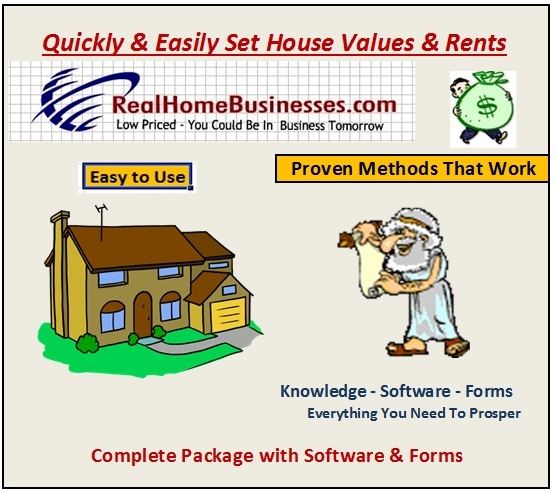 PLUS our software to quickly and accurately set housing values and rental rates. 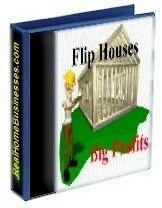 Find Junk Houses, Re-Hab Them & Flip Them For Huge Profits – Like on TV. We show you how we find them using the internet, estimate the repairs needed to make them salable, contractor contracts to do the work, spreadsheets to calculate your profit, costs, local market values etc. 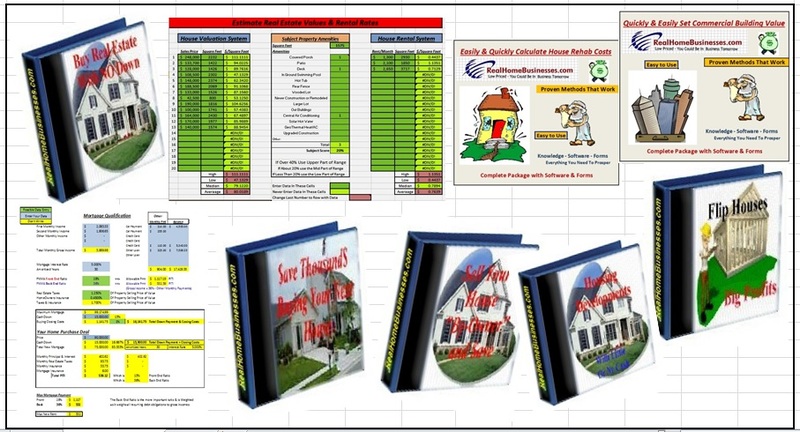 Includes our program to quickly and easily calculate the expense estimate to get the house in marketable condition. 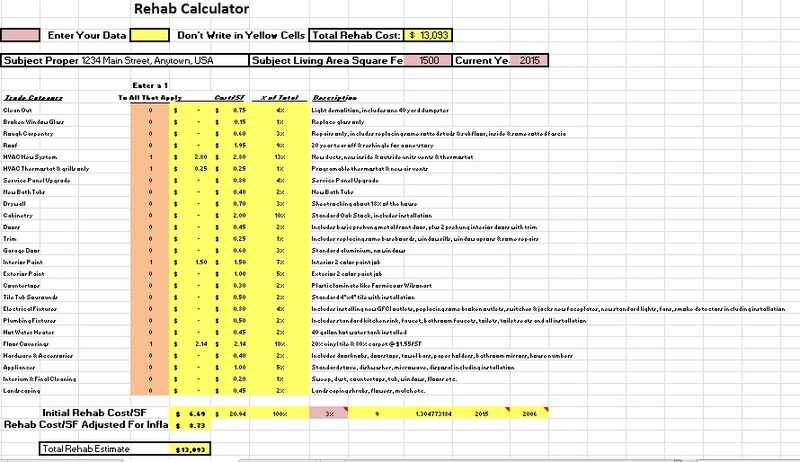 Commercial Real Estate Evaluation Tools with Quick Letters of Intent for Purchase of Lease – Since commercial real estate values are dictated strongly by the financial aspect of the deal our spreadsheets can be quickly tailored to your local financial factors and quickly and accurately assemble a letter of intent (for purchase or for lease) that carefully utilizes this financial data to get you the best overall deal. These tools can be used for apartments, shopping centers, commercial buildings, office buildings, industrial buildings etc. of any size. In commercial, the building buys the building so rents and expenses are crucial to accurate values. Real Estate Development – How to find the land and quickly determine how many houses could be put on the parcel depending on lot size and allowing for streets, common areas etc. 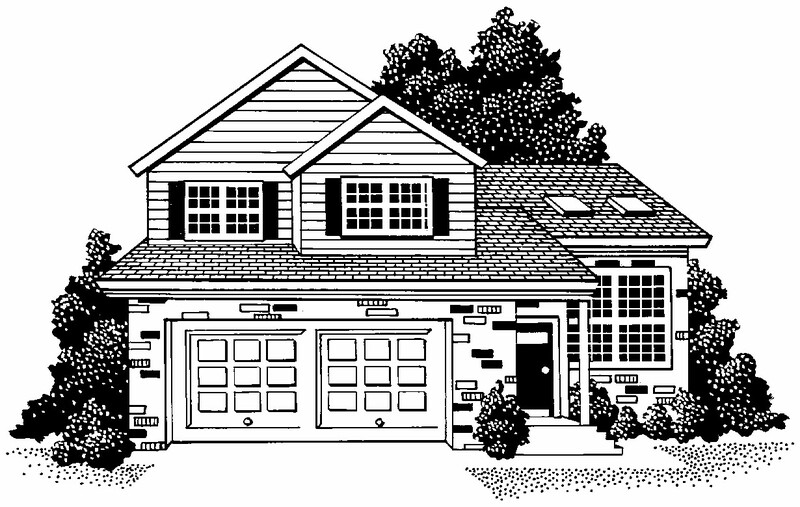 Figure how much profit is to be made from a cut lot, a finished buildable lot and the finished houses. How to reduce or eliminate the amount of cash you will need personally by bringing the land owner in as a JV partner. 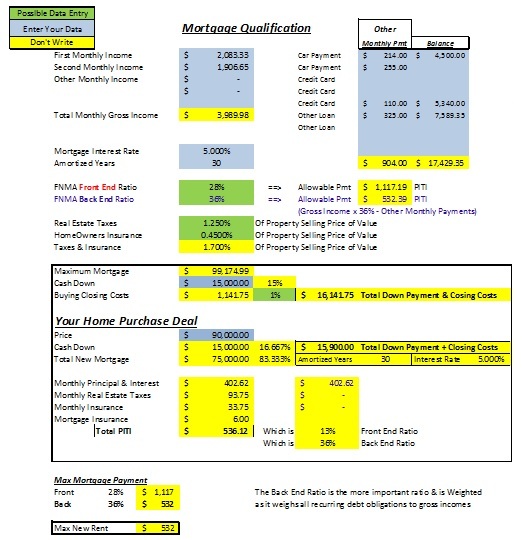 Mortgage Qualification Program – Easy to use Excel spreadsheet to quickly and easily analyze your income and expenses to tell you how much of a mortgage you’d qualify for or how much rent you can afford for your housing expenses. You just enter your gross monthly income(s), car payments per month and credit card payments per month, the mortgage interest rate and term of the loan and our sheet will tell you what mortgage amount you can comfortably afford. It will also tell you the maximum rent you can comfortably carry. Sell Your Home By-Owner & Save the 6% to 7% Realty Fee – This package includes everything from valuing and pricing your home to ads to open houses & other showings through contract writing, buyer mortgage qualification through closing the sale. Everything you need and we use to sell your home by-owner. 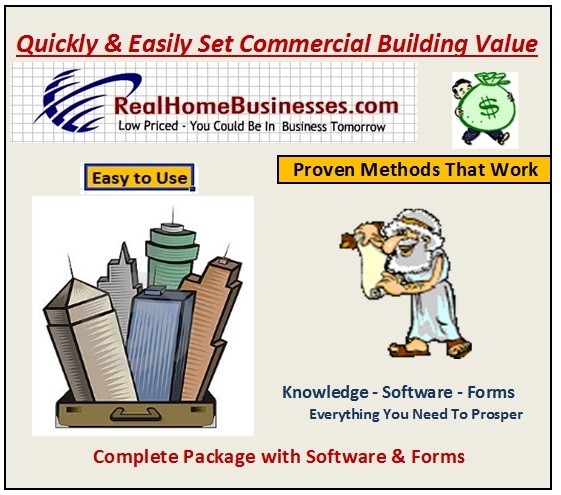 Letters of proposal, letters of intent, contracts, counter offers, land contract form & many spreadsheets to quickly and easily crunch your numbers to get the answers you need to make good deals. We just don’t tell you how to do it, we give you spreadsheets to actually do it for you and fill in the blank contracts to close the deal. This info is presented in PDF, MS Word, MS Excel and text formats. We offer fast delivery, upon transaction completion, you will be sent a download link to access your material. This Super Bonanza Real Estate Sale contains files to super charge your real estate activities. These are HOT item and we have previously sold them for $220 to $300. Know what a real estate broker knows and save HUGE buying your next real estate investment.. 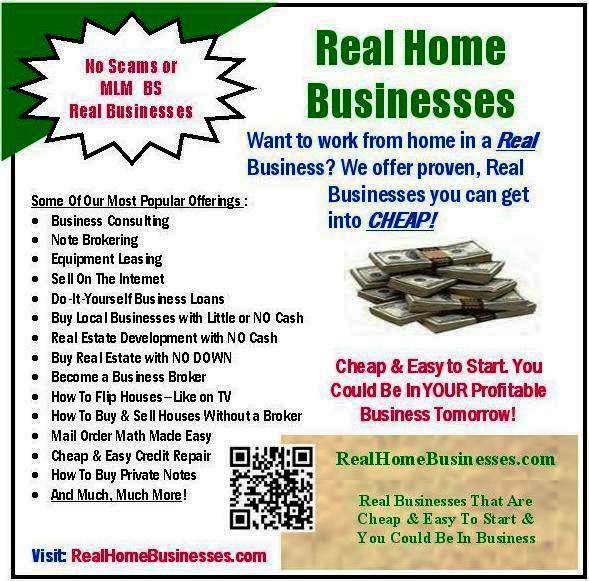 Retired Real Estate Broker reveals all the secrets and gives you all the tools he has used profitably for years. * Negotiating techniques that allow you to control the deal and get your price from the seller. These techniques will work anywhere!!! Upon receipt of payment, a download link will be emailed back to you for fast, easy download. You could be cutting a great deal tomorrow. 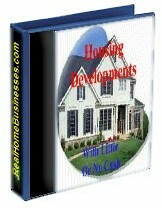 And, once learned, this system will provide you a life-time of great real estate investings.